Some things are best kept simple. 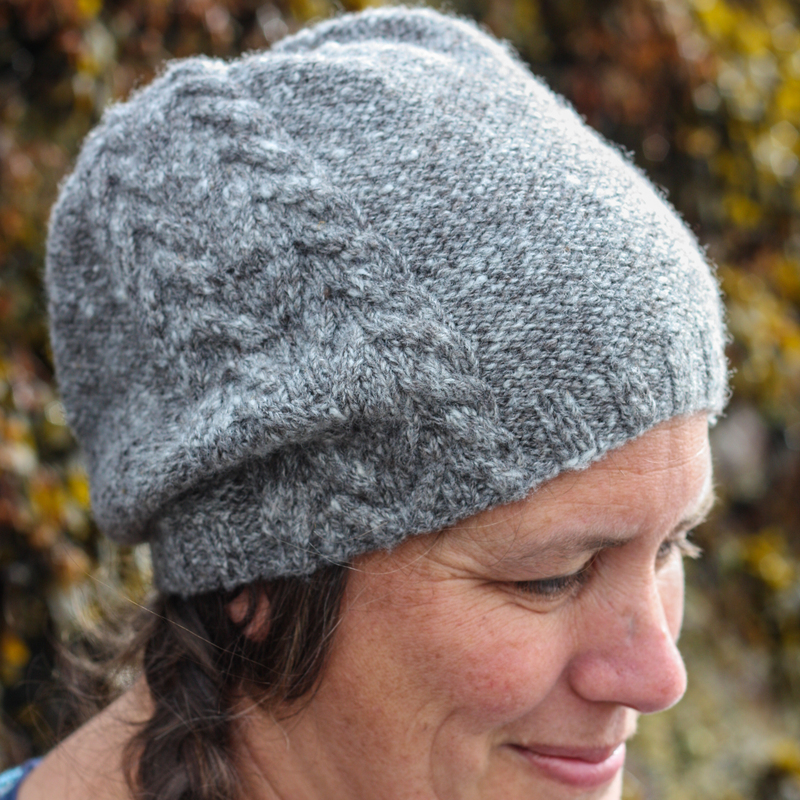 When you have one skein of perfect yarn, you need a pattern that shows it off without too much fuss. 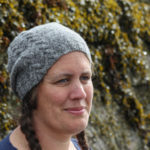 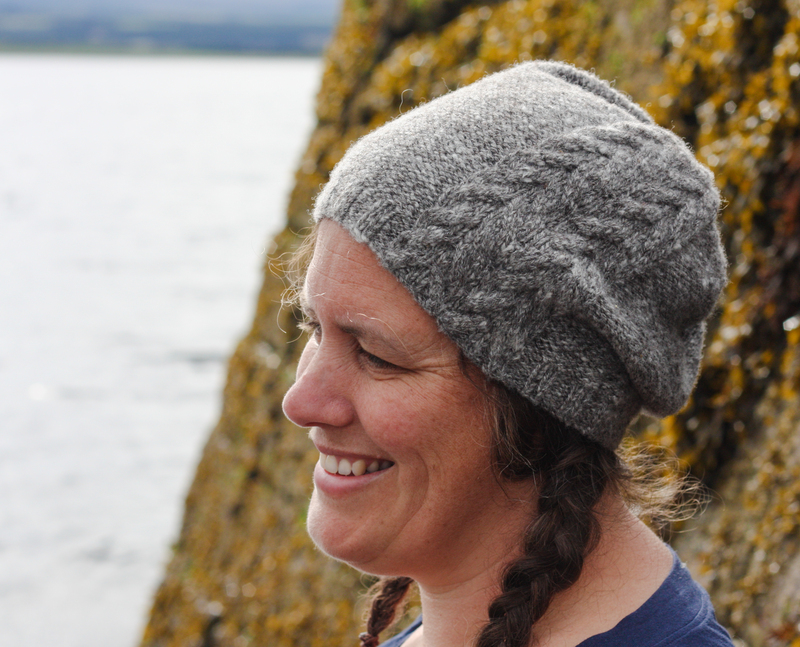 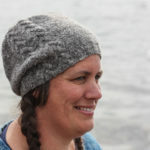 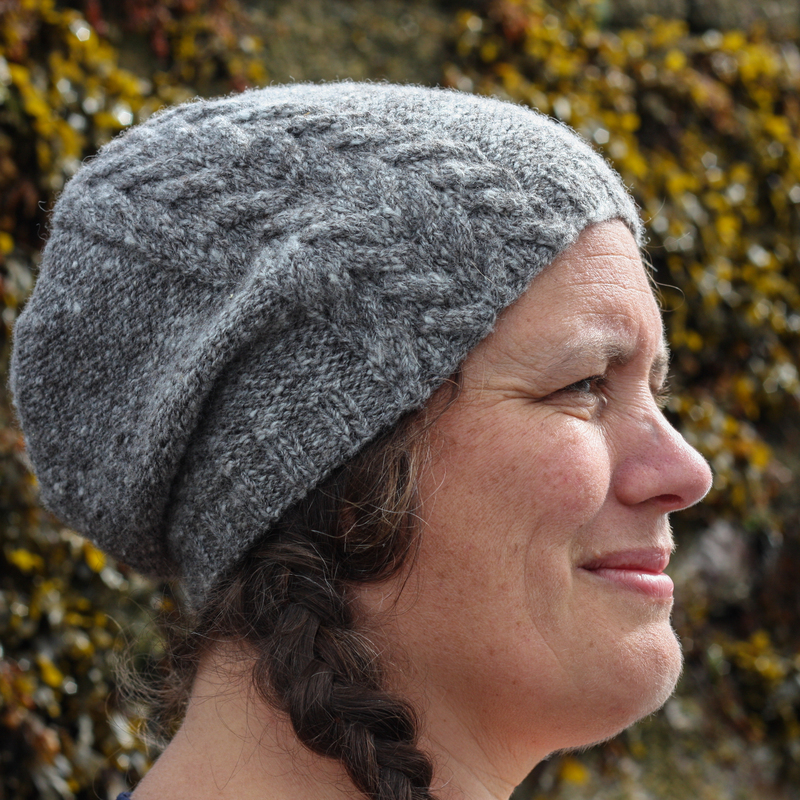 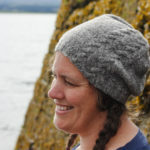 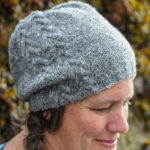 The Callachy hat uses a classic cable combination and careful details to make a comforting slouchy hat that’s as soothing and beautiful as the beach on a grey day. 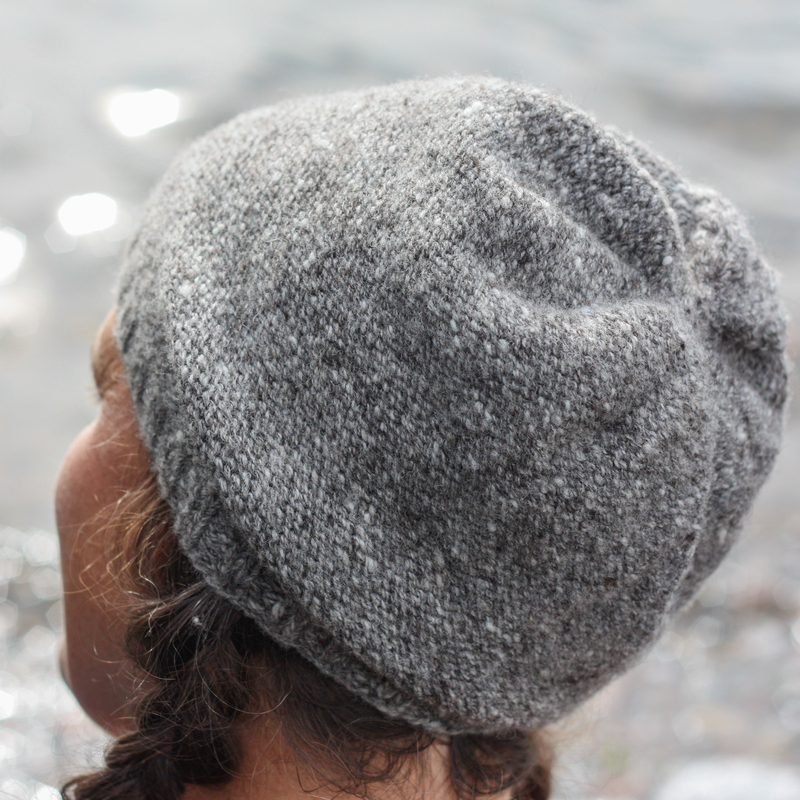 Paired with the matching mitts, it’ll be your new favourite. 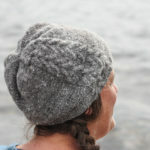 The sample is size 53.5 cm / 21.25 in, modelled with zero ease. The pattern requires 160 (170, 180) m / 180 (190, 200) yds worsted or heavy DK weight yarn. 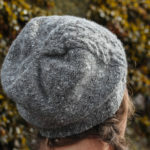 It is recommended to chose a soft, warm yarn which will yield fabric with some drape at the stated gauge.